We all get the the munchies from time to time. Whether it’s late morning, a mid afternoon slump or night time nibbles, the desire for a pick me up snack hits us all. With busy schedules at work or at home with little children this is when it’s all too easy to reach for a handy ‘treat’, biscuit and coffee, tea and buttered toast, chocolate bar or crisps. I’ve a sweet tooth and and have fallen prey to this temptation numerous times. 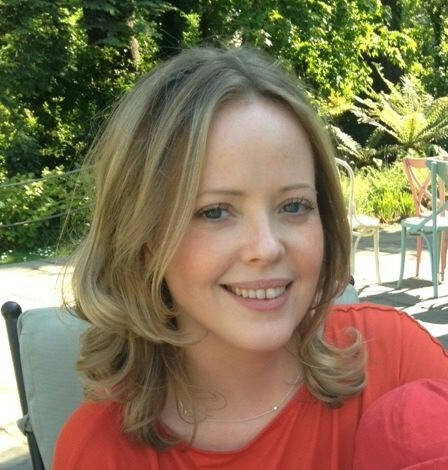 As an ex nurse on a busy ward, very often not getting a lunch break or afternoon tea break there were always boxes of chocolates or biscuits available to munch on and give me a burst of energy to keep me going for a few hours. However as we all know this isn’t a good way to sustain energy and depletes us in the long run. I began opting for 70% dark chocolate instead of sugar laden milk chocolate. This worked very well and surprisingly I now find milk chocolate too sweet. But chocolate as delicious as it is does not always hit the mark, so I came up with this super simple speedy snack! 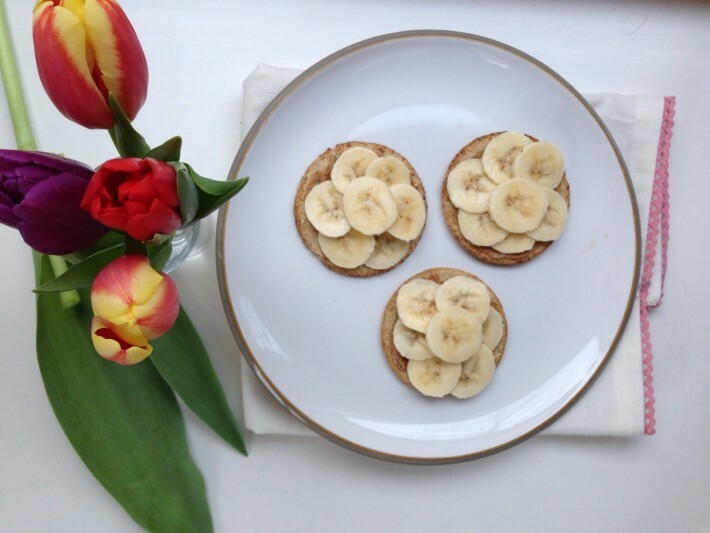 Nut butter on oat crackers with sliced banana. Simple, quick and tasty, Mmmmmm! Spread your chosen nut butter onto the crackers and top with sliced banana. If you have problems sleeping bananas may be able to help you. Packed with the amino acid tryptophan, this converts to serotonin and melatonin which helps calm us and aids restful sleep. Peanut butter is probably still the most commonly used nut butter. Unfortunately peanuts easily grow a mould. This mould produces toxins called aflatoxin. Aflatoxin Is a carcinogen which has been shown to have a connection with liver cancer. Because of this peanuts are usually heavily sprayed with anti fungals. Almond, cashew and walnut butters are a good alternative. Seed butters are also available if you have an allergy to nuts. Nice! I picked up 70% chocolate in Lidl this week and it was almost a third of the cost of the bar I usually buy in Supervalu. Do you think it’s ok? I should check added sugar amounts. I was a bit freaked about peanut butter having carcinogenic properties cos I love it as does the kids. Can you pick up almond butter in the mainstream shops or if it only health food shops? Hi, they do regulate peanuts and check for mould growth levels. You can buy other nut butters in tesco. Opposite the eggs! They’re on special offer at the moment. Almond butter in particular tastes so similar to peanut butter that you may not notice any difference! Love a snack like that. Have it sometimes and find it very satisfying.